Ketchup is typically made from tomatoes, sweetener, vinegar, and assorted seasonings and spices. 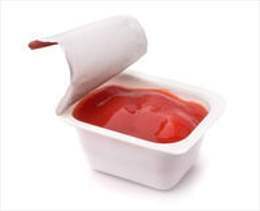 Lactobacilli such as L. fructivorans, L. brevis, L mannitopeum and L. plantarum are the predominant spoilage organisms, as a result of gas formation in bottled ketchup. Handary provide clean-label preservation solutions for shelf life extension of ketchup. Lactobacilli are the predominant spoilage organisms in ketchup, such as L. brevis, L mannitopeum and L. plantarum. 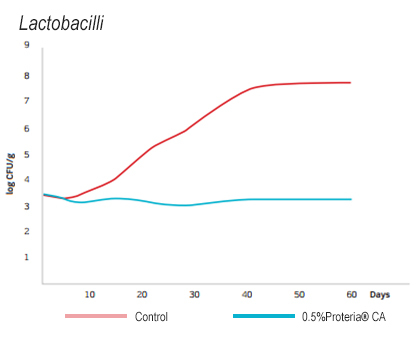 By stabilizing pH and enhancing the hurdle, Proteria® CA can effectively control bacteria spoilage, as well as maintaining freshness and authentic appeal of Ketchup. Figure 1 indicates that shelf life of ketchup was considerably improved by the addition of Proteria® CA.